This item in the popular Examples & Explanations series uses step-by-step writing samples along with questions and explanations for each component of memos and briefs, giving students accessible information in a hands-on format. 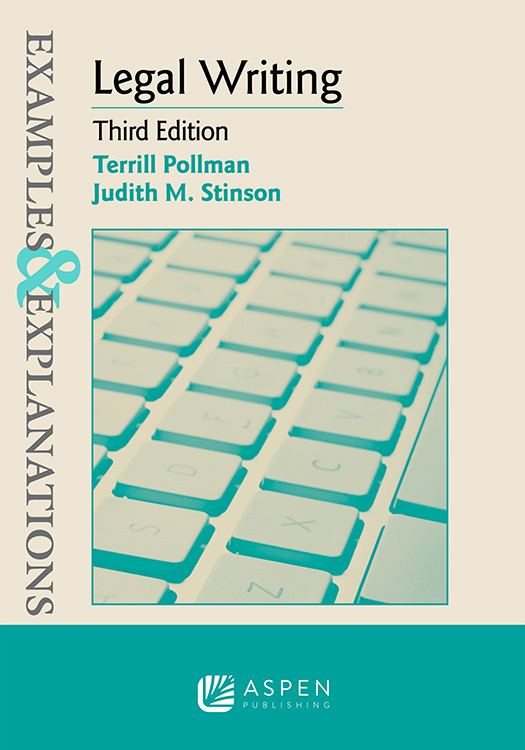 Examples & Explanations: Legal Writing, Third Edition is designed to accompany any legal writing text. Throughout the text, students decide whether examples from memos or briefs meet certain criteria for effectiveness. Pollman and Stinson then explain why each example succeeds or fails to meet the criteria.